Home Archives - Chadwick Electric Services Inc.
One of the more stressful aspects of having a young child is making sure they’re safe at all times. Fortunately, there’s a simple solution to preventing electrocution or burns: tamper-proof outlets. 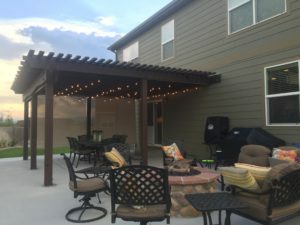 Childproofing your home is never simple, but we have some quick tips for older outlets and suggested improvements for your Fort Collins home. While childproofing may seem obvious, there are still issues with safety across America. 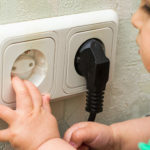 According to the National Fire Protection Association, “Each year, approximately 2,400 children suffer severe shock and burns when they stick items into the slots of electrical receptacles. It is estimated that there are six to 12 child fatalities a year related to this.” That’s around seven children a day, which is pretty scary. To help you make sure your children are safe, here some answers to common questions. Be as proactive about your child’s safety as possible. 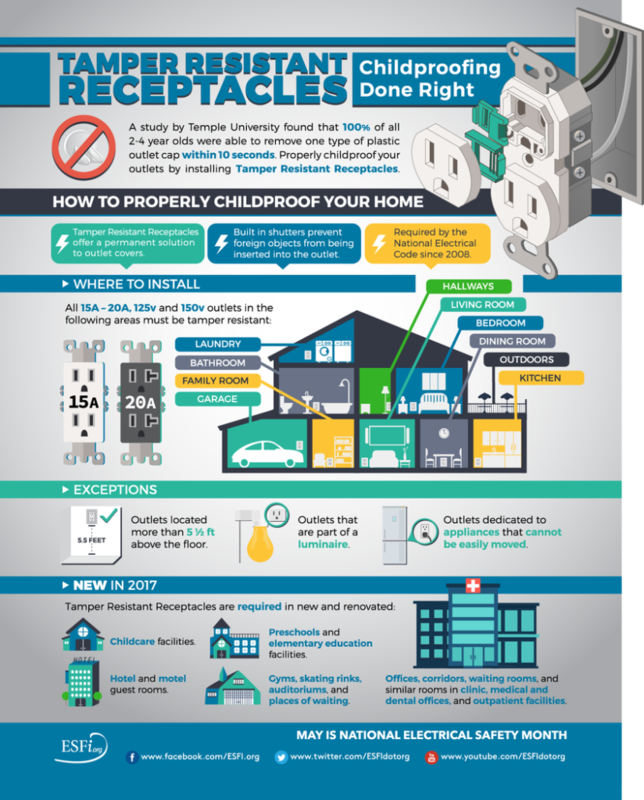 It’s never too early to make sure your outlets are child-proofed. The longer you wait, the less likely it is that you’ll get every outlet covered. Additionally, trying to childproof your home becomes more and more stressful as the idea of being a new parent sets in. Crawl around your house, through every room, and check for outlets. There may be more than you ever expected, but it’s good to know how many you’re dealing with before you go to the store. It’s also good to know just how hazardous each room is for a crawling baby. Next, decide what kind of tamper-resistant receptacles you need, and what you can afford. Some options are more expensive than others. 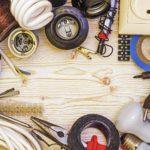 What receptacle should you use for your home? There’s no simple answer to this question. However, we can at least break down what’s available. This way, you can make an informed decision that’s best for you and your family. These are the classic caps that you likely had growing up. 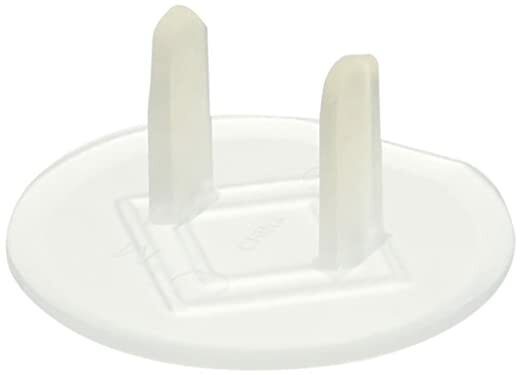 They’re little plastic covers that plug directly into your outlet and are really hard to take out – even for adults. That’s where the difficulty lies. For many parents, the difficulty of removing the cap means that you’re less likely to replace it on outlets you use often. They’re also easy to misplace, creating a choking hazard. However, their affordability is what makes them so popular. For instance, you can buy a pack of 36 on Amazon for $2.99. If you’re looking for a more convenient option, outlet covers are fantastic. To install, you simply replace your old cover with this plate. You don’t need to get into the wiring in order to have this self-closing cover. To use the outlet, simply slide the cover over with the plug’s prongs and it snaps back when you’re done. The major setback is that these are more expensive than the caps. But what you lose in cash you make up for in peace of mind. You can also use the covers for your most-used outlets and place caps on the ones you rarely use. For even more convenience that’s around the same price as the above cover, you can use this deep cover. It’s easy to install and easy for adult’s to remove–but not children. The great thing about this cover is that it prevents babies from pulling the plug out of the outlet. The manufacturer, LectraLock, is also made in America. 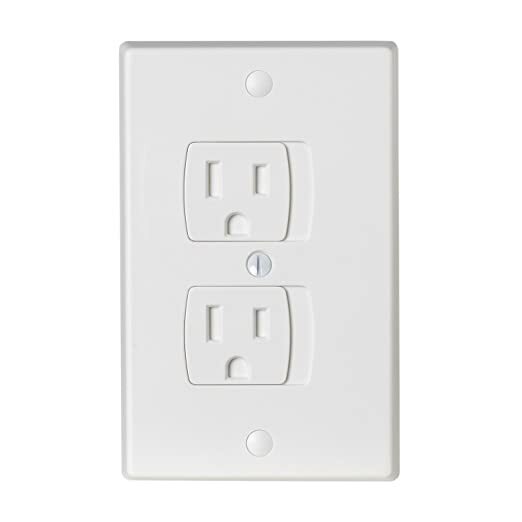 What’s the best option for childproofing electrical outlets? If you have an older home, you should consider upgrading your outlets to tamper-resistant receptacles. They have built-in shutters that make it incredibly difficult to insert anything other than a plug into the outlet. These are now common in homes built from 2008 and on, but even in new homes, it’s smart to make sure your home has them. To tell the difference, look inside the vertical slots. If they’re open, you need to baby proof them using the above methods. If they’re filled in, you’re good to go. TR receptacles are relatively inexpensive, and the peace of mind is what you’re really paying for. To upgrade the outlets in your Fort Collins or Windsor home with tamper-resistant receptacles, call us today at 970-457-4099. If you’re interested in reducing the costs associated with central heat, a space heater may be perfect for your Fort Collins home. By using a strategy called “zone heating,” you can turn your most-used rooms into comfortable spaces and reduce your thermostat. This reduces the amount of energy your home uses. However, you should know how to buy and use your space heater safely. 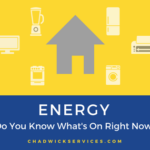 We suggest that you call Chadwick Services to inspect your electrical system before plugging it in. For safety reasons, make sure the unit you’re looking at is Safety Certified by a company like UL, which independently tests for safety. Also, ensure the cord is heavy duty and long enough to reach the outlet. You can also buy units with safety features like tip-over, overheat, and touch protection. When you get home, check your smoke and carbon monoxide detectors to ensure they’re functioning properly. Next, don’t place your space heater on any furniture and keep it at least three feet away from combustible furniture. This includes beds, sofas, window treatments, rugs, etc. Keep the space heater away from water and establish a child and pet-free zone. Enforce the zone at all times and don’t allow anyone to operate the heater without proper training. Make sure the space heater is securely plugged directly into the unit. You increase your chance of fires by using an extension cord or by running the unit’s cord under a rug. Regularly inspect the cord to make sure it’s not frayed, cracked, or broken. In addition to checking the cord, make sure you turn your space heater off every time you leave the bed or go to bed. Don’t leave a space heater on overnight or when you’re not monitoring it. Some units come with a timer that will allow you to control when it’s on or off, but it’s a good idea to make sure it turns off. As we discussed before, perform regular maintenance on your smoke and CO detectors. 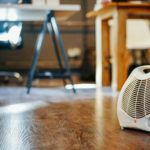 Now that you know how to use your space heater safely, here are the types you will likely choose from. A word of caution: never use a gas-powered heater indoors. Those should only be used in well-ventilated spaces. Oil-filled space heaters are great for small rooms or for personal use. They’re usually portable and come with handles and wheels to move from room to room. The oil inside never needs to be replaced and they’re silent because they don’t use fans. Ceramic space heaters are among the most common and use fan-forced air. They’re compact and are ideal for areas up to 150-square-feet. Infrared space heaters are generally the most energy efficient. They’re great for personal use because they produce heat quickly and without a fan. While you shouldn’t use these types of space heaters to heat your entire home or treat them as a long-term heating solution, they can be very useful and efficient in the winter months. Inspect your wiring before installing a space heater by calling Chadwick Electric Services today. One of the most important–yet often neglected–parts of your bathroom is the exhaust fan. Unfortunately, because it’s usually out of sight, out of mind, it’s hard to know whether your exhaust fan is really doing its job. 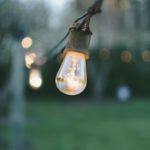 We have a few tips to share so you can know that yours is the right one for your home. What is an exhaust fan? While this may seem like a silly question, most people don’t know how their fan actually works. This isn’t a surprise since most of its parts are invisible. However, you should be informed of at least its basic functions. This will allow you to choose the correct fan for your bathroom. 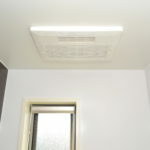 The fan ventilates the hot, humid air out of your bathroom through a duct that typically runs through the ceiling and releases air to the outside. It’s also useful for removing odors, dust, and allergens. But its most important job is making sure that mold and mildew don’t grow. An unventilated bathroom is the perfect breeding ground for mold spores to spread. Too much moisture can also damage your walls and ceiling, which is why exhaust fans are so important. Do I have the right fan for my bathroom? Exhaust fans are rated by their airflow capacity, is measured in cubic feet per minute, or CFM. A good rule of thumb for proper CFM for your room is at least one per square foot. We say at least because you want to make sure that you have more than you need. For example, if you have a bathroom with 66 square feet, you want a CFM rating of 70 to ensure proper ventilation. So if you have a bathtub, a shower, and a toilet (in the same room), you need a fan with at least 150 CFM. Additionally, if you have a separate room for your shower or toilet, a 50 CFM fan should suffice for that area. How do I know mine is working properly? There are a few signs that let you know if you need to repair or replace your current exhaust fan. If you hear vibrating noises that keep getting louder, that a good sign that you need some repairs. If the fan randomly stops running when you don’t turn it off or it doesn’t turn on at all, you may need to replace it. Do I need an electrician to install or replace my exhaust fan? Generally, you need at least an HVAC specialist to ensure the fan will ventilate properly and not cause more moisture problems. However, hiring an electrician is a good idea, especially if you’re installing a brand new fan where there wasn’t one before. The reason is that you will need additional wiring to separate your light wiring from the wiring you need for the fan. It’s not recommended that you tackle this yourself, so give us a call and we’ll make sure your wiring is up to code. For assistance with your exhaust fan in Fort Collins or Windsor, contact us today. In the winter months, you’re going to be spending a lot of time indoors, which is a good thing unless your smoke alarms and/or carbon monoxide detectors are malfunctioning. 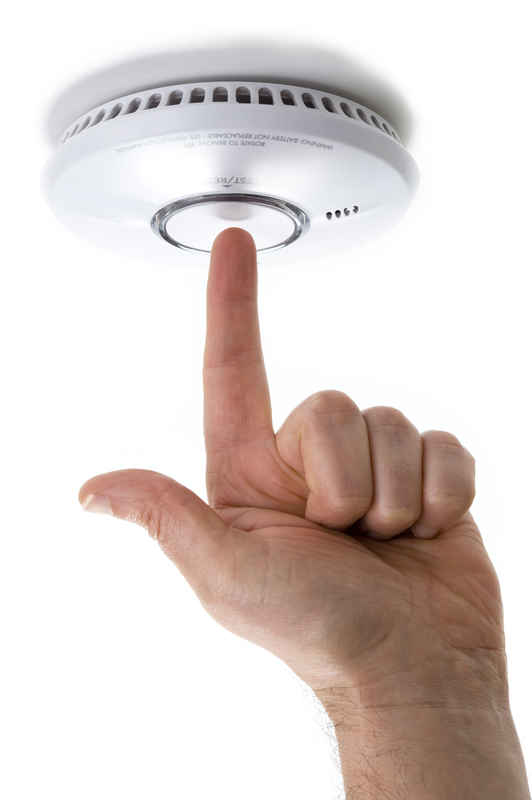 In order to ensure that your family will stay safe, regular smoke alarm and CO detector maintenance is incredibly important. According to the U.S. Fire Administration, there are more than a million fires every year and an average of 3,000 deaths related to fires. The CDC also reports that each year, more than 400 deaths result from unintentional carbon monoxide poisoning not linked to fires. These deaths are all avoidable with working detection systems in place. The National Fire Protection Agency tells us that the death rate is doubled in homes without working smoke alarms, so protect your family and follow these tips to keep your family safe. Check the batteries every six months by testing the detector. Change the batteries at least once a year. If it’s chirping, change the batteries right away. If you have a 10-year battery in your detector, replace the entire device immediately. Test the system once a month. Press the test button on your device to verify that it’s functioning properly. This will also get you and your family familiar with the sound of the alarm. 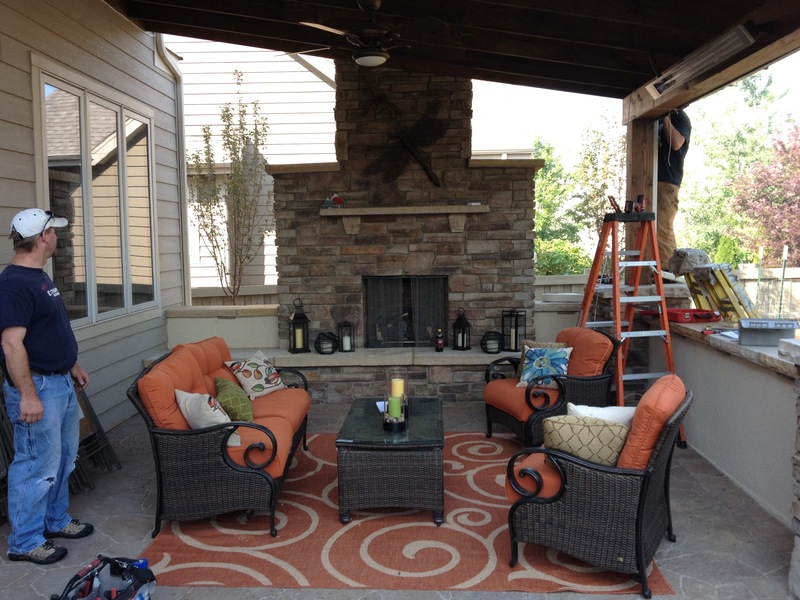 Dust the unit on a monthly basis to remove debris and grease from its exterior. Give it a more thorough clean twice a year by using a vacuum attachment. This will get the dust buildup and cobwebs out of the interior. 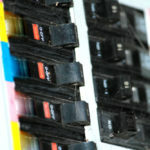 Check your manufacturer’s instructions for expiration dates and be prepared to replace your unit as the date approaches. In the case of a fire or carbon monoxide emergency, create and practice a home escape plan. These won’t necessarily match each other. For most CO alarms, you may be able to call for help from an open window, but you need to get far from your home in the case of a house fire. To avoid CO buildup, clear any snow from your vents for the stove, furnace, dryer, and fireplace after snowstorms. 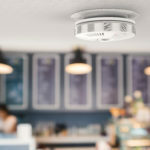 The NFPA suggests having the smoke alarms throughout your house interconnected. This may be a task for a professional electrician.